This Berlina was brought to my attention by Nick in San Francisco. Great color. From Google language tools: “Literally found in a barn in Italy. She was then sold them the house was sold. She has four doors. In good condition bright blue car with light gray sky cover. The mileage is 107,785. The car is technically underway. The car will still go to the body shop to go here and there to be updated.” Asking price is supposedly around 13,000 Euros. This blue (or a similar one) is more frequently seen on lightweight Sprint Veloce’s. Pretty good on a sedan. I like the lack of bumper -looks sportier than usual. Update 7/26/20: $7350, reserve not met was the result after 17 bids. This seems cheap but then again there are not a bunch of guys queuing up to buy these cars and the that in combination with RHD makes me think a little more than the final result would have been a reasonable price. Update 7/21/10: This car is now listed on eBay out of Southern California. The new pictures are nice and show a very original car. 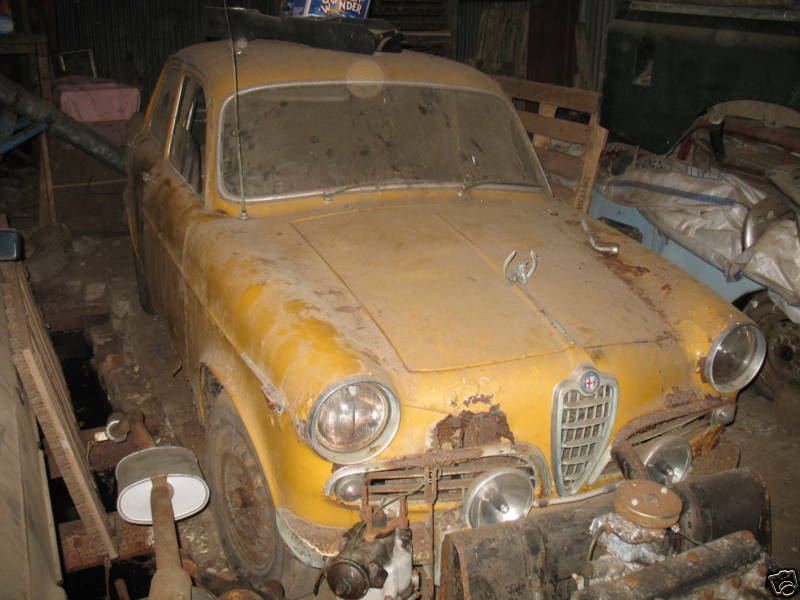 Posted 2/18/10: Giulietta TI 10109*109054, 00109*00595. 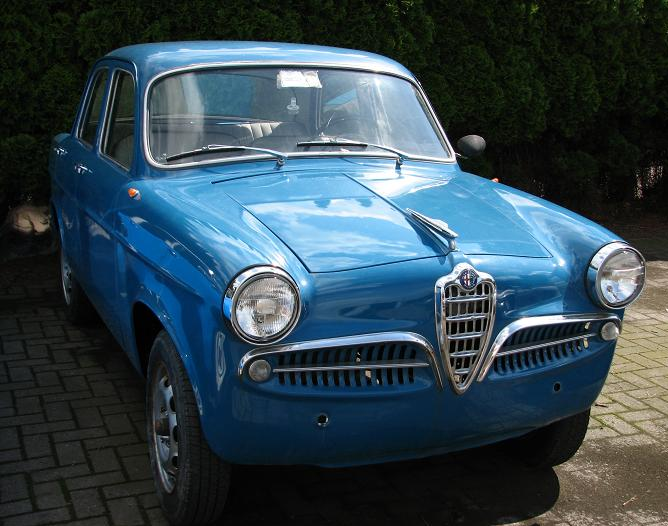 This right hand drive or guida destra as the Italians say, is available right now through Vintage Customs in Washington. Vintage Customs is Daron’s shop where a lot of Alfa’s (and other contemporaries) go to have rust repaired, get restored or be prepped for racing -check out some of the projects they have posted on their website while you’re there, neat stuff! I like the color, I like the originality, I like the shine on the trim and well, there’s nothing I don’t like. A very handsome car! Giulietta TI 10129*220464. This car is available right now on eBay.it. Condition is superbly original and the color combination is spectacular. At 11,500 Euros or about $15,500 it is at the top of the market for these cars, but I think you’ll agree it deserves it once you look carefully at the pictures. Car is listed as being in Caltagirone -must be near Padua judging by the plates. Great color! Trim and hood fit is great. Everything has a nice even patina. Too bad it’s $2000 worth of transport away. 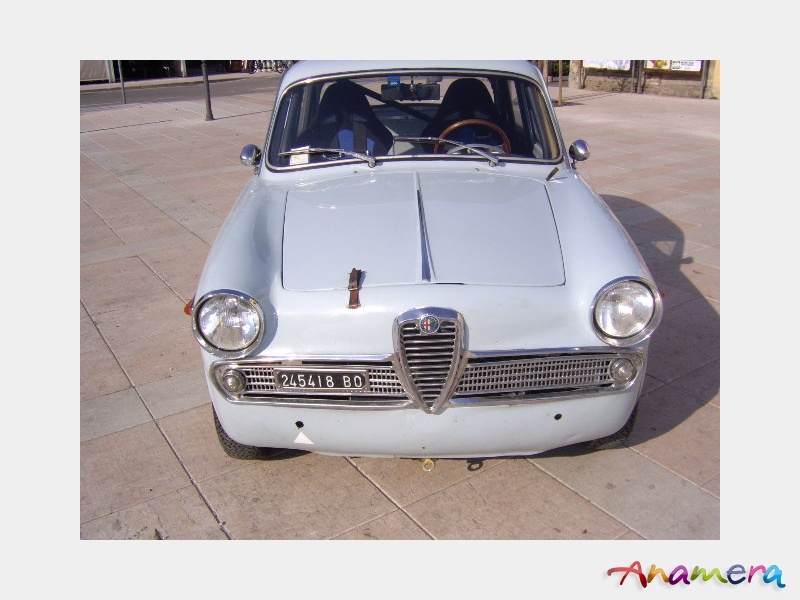 Giulietta TI GD CKD 10109. 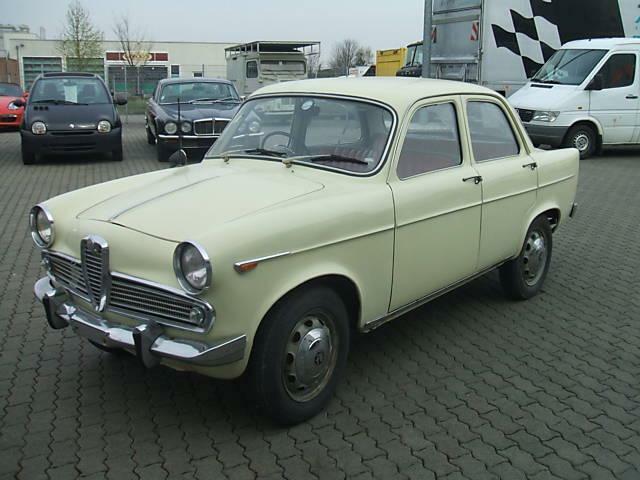 This right hand drive sedan, originally delivered to South Africa is available right now from Atlantic Auto GmbH for 8950 Euro’s or about $12,200 at time of writing. German roadworthiness standards are some of the highest in the world so you can bet this is a good car. 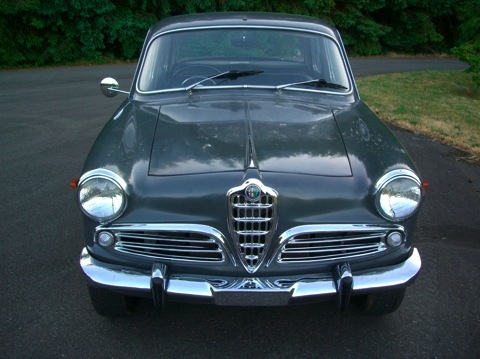 Why so many RHD Giulietta sedans lately? Wierd. I like this washed out yellow. 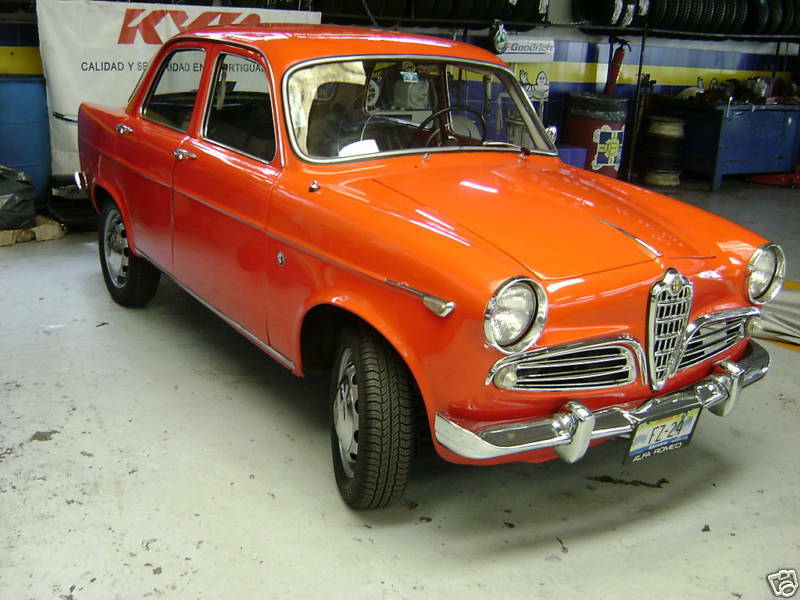 A lot of the 50’s Fiats and such are this color when seen in street scenes in movies from the late 50’s early 60’s. These are my least favorite grills for the Giulietta Sedans but from where I sit, I’d deal with any Giulietta sedan that came my way for a reasonable price -would be fun to use as a daily driver for a while. Update 1/13/10: This car is now on UK eBay. Opening bid is 700 pounds, about $1150. Some better pictures too! Would make an interesting run as it is. I know you can’t do it in most European countries, but you can here in the US. Something blue beside it -maybe the Spider he mentions in his description. Greasy engine in front of it. Wow, that’s some odd rust. I guess it’s not unlike how Giulia Supers rust. 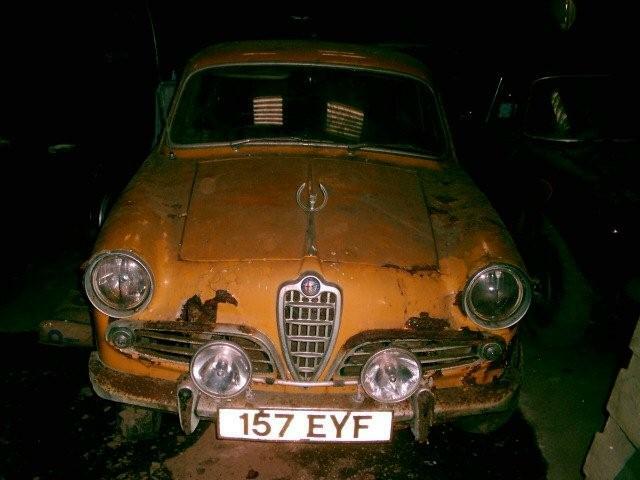 Originally posted 3/10/09: 1963 Giulietta TI 101.09 RHD. 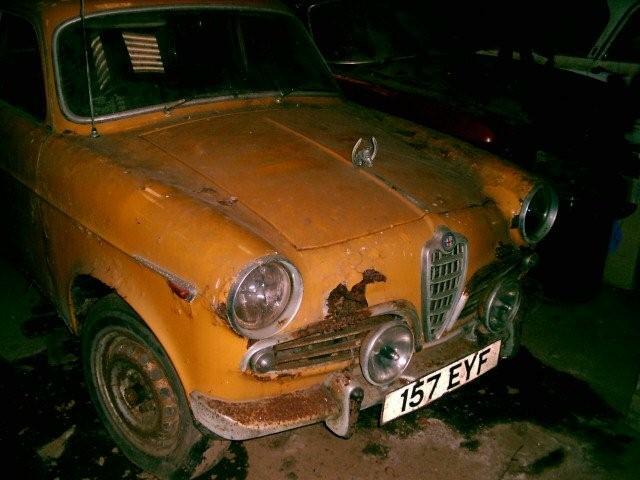 This car has been listed for sale (750 British Pounds) for a while on the Giulietta Register website and I didn’t pay it any mind until a friend sent along an email with the below pictures. 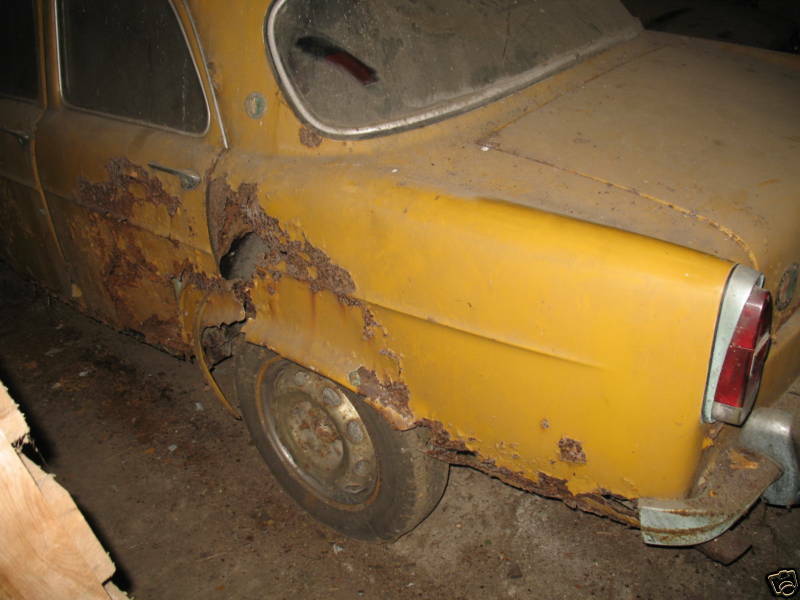 Car has been stored in a leaky shed in Scotland and is considered ‘not too bad’ as far as rust goes for that cold, damp and salty part of the world. Would be a great unrestored pairing with this car. I am terrified of the rust seen below, but I’m soon to undertake some serious rust repair work of my own and who knows, if I find it as satisfying as my current engine rebuild toils, maybe my terror will turn into a sort of sick fascination and longing for the ‘ultimate rust transformation’. The hood ornament is funny. I like the fog lights and the color is tolerable. Trim appears straight and complete. Shame about the rust. Update 10/12/09: 2 bidders, $6100, reserve met. I wonder if it sold? Would be a great bargain at that price if it was around here! Update 9/29/09: Back on eBay after a brief respite. This TI seems like a pretty good deal for someone in the western hemisphere looking for one. Update 5/28/09: Sold! $7000, reserve met with 13 bids. Andrew says: “Seems like a steal if you’re in Mexico or have an assured way of getting it out of the country.” I agree. Let’s see if it sticks. 1959 Giulietta TI 1468*22622. This car is available right now on eBay out of Guadalajara Mexico. Seller states it is a 1960 model, but from the time of manufacture to crating it up to be finish assembled in Mexico by Willy’s, a period import requirement to provide jobs, to the time spent on a show room floor, I could see a year or more easily passing. 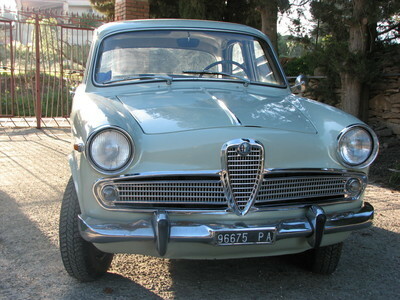 I really like this series of Giulietta Sedan. The grill work up front has a more jovial expression than the Sprint and Spider. Overall the car looks good. I like the color and everything seems to fit together well.